Along with Pattie Boyd (and Linda and Olivia and...), I would consider Jane Asher to be one of my favorite Beatles' Girls. Scratch that, I would consider her one of my favorite Sixties girls. Period. But what makes Jane so cool isn't the fact that she dated/was engaged to Paul McCartney, but because she was (please don't criticize how bra-burning feminist, girl power-ish this is going to sound...) an independent woman. Even when she was in serious relationships (and, eventually, marriages) she never allowed her life to be dictated by others around her. She chose the roles she wanted in productions she wanted to be involved in, and didn't adapt the social "norms" other people her age conformed to. But she managed to do so without becoming a stubborn or conceited person. She was incredibly mature for her age, but it is still somewhat shocking to know how young she was when she first became very famous in the 60s, at only 17. In any book/documentary/commentary of any kind about the 60s, Jane is always described as incredibly sophisticated and refined. She was well-educated, well-read, and well-aware of the world around her. Though raised upper class, she was always very gracious and engaging to everyone around her, a trait that is often spoken about in books about this time period (like in Cyn Lennon's "John" and Pattie Boyd's "Wonderful Today/Tonight" depending on where you live). In the 1960s she was known as a very talented former child actor who was making a name for herself as an adult. Her most famous roles are in the films "Alfie," "Deep End," and 2006's "Death at a Funeral," along with many many roles in British television and theatre. Nowadays, she has added author, cake decorating, and advocate for Autism to her resume. But, oddly enough, it was her relationship with McCartney that has given her the most longlasting exposure. 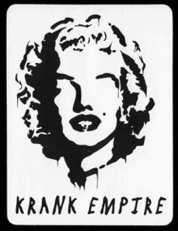 He wrote many songs about her, ranging from heartfelt odes of affection to angsty embittered ballads. Songs about her include: "All My Loving," "And I Love Her," "You Won't See Me," "I'm Looking Through You," "We Can Work It Out," "Here, There and Everywhere," "Things We Said Today," "For No One," and "Martha, My Dear," all documenting the ups and downs of their five year relationship. I personally love her smart style from the sixties. Her clothing always looked right on trend, in yet they were timeless and were never gaudy. She favored smaller pieces of delicate jewelry and a minimal color palette in her wardrobe. She stuck mostly to black, white, navy, brown, cream, and red. This gave off a no-fuss look and along with her naturally fire-red hair & fringe and very understated, clean makeup, Jane became known as a 'natural beauty.' There's a great article on That60sgirl.com about Jane's clean, understated look and its definitely worth checking out. I am contemplating doing "The Jane Chronicles" like I have begun posting for Pattie so please let me know if you would be interested in reading more about Jane! Jane Asher IS very mature for her age, which I believe is GREAT! She played her part very well in alfie. And she always dresses beautifully and very sophistacated. This post is fantastic. 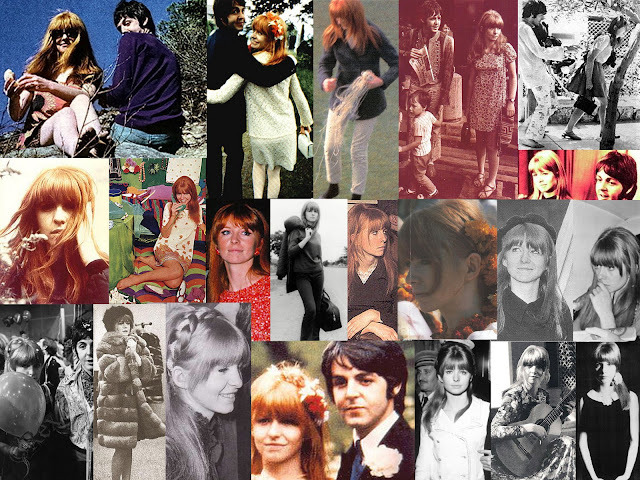 Jane Asher is amazing, and a great human being. She was the total muse but the total artist herself too.